Akoustic Band is a 1989 jazz album by the Chick Corea Akoustic Band, featuring Chick Corea with John Patitucci and Dave Weckl. The group was nominated and received the 1990 Grammy Award for Best Jazz Instrumental Performance, Group at the 32nd Annual Grammy Awards. John Patitucci is an American jazz bassist and composer. Dave Weckl is an American jazz fusion drummer and leader of the Dave Weckl Band. He was inducted into the Modern Drummer Hall of Fame in 2000. 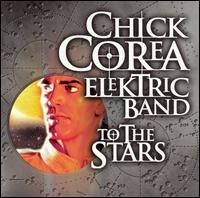 Chick Corea Elektric Band is a jazz fusion band, led by pianist Chick Corea. Following the demise of Return to Forever, Corea established the musical ensemble in 1986. Following a long hiatus, the band reunited to produce To the Stars in 2004. Larry Rosen was an American entrepreneur, producer, musician, and recording engineer. Frank Gambale is an Australian jazz fusion guitarist. He has released twenty albums over a period of three decades, and is known for his use of the sweep picking and economy picking techniques. 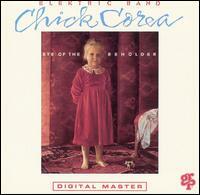 Eye of the Beholder is a 1988 album by the Chick Corea Elektric Band. It features Chick Corea with guitarist Frank Gambale, saxophonist Eric Marienthal, drummer Dave Weckl and bassist John Patitucci. 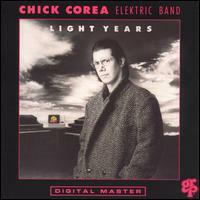 Light Years is an album by the Chick Corea Elektric Band. It features Chick Corea with guitarist Frank Gambale, saxophonist Eric Marienthal, bassist John Patitucci, and drummer Dave Weckl. The album received the 1988 Grammy Award for the Best R&B Instrumental Performance. Chick Corea is an American pianist and composer whose discography consists of 81 studio albums, 17 live albums and 8 compilation albums. Rendezvous in New York is an album by American pianist Chick Corea, released on April 22, 2003, on Corea's own Stretch Records, as a two-CD set. The recording took place at the Blue Note club in New York City over the course of three weeks that marked the 60th anniversary of Corea, with nine different groups, comprising artists such as Bobby McFerrin, Gary Burton, and Michael Brecker. The song Matrix was awarded a Grammy Award for "Best Jazz Instrumental Solo" in 2003. John Patitucci is the debut solo album of jazz bassist John Patitucci. The album reached No. 1 on the Billboard magazine Top Jazz Albums in 1987. James Christopher "Jimmy" Earl is an American jazz bass guitarist who is a member of the Jimmy Kimmel Live! band. The Chick Corea Elektric Band is an album by jazz and fusion keyboard player Chick Corea, released in 1986. It is the eponymous debut album of the Chick Corea Elektric Band, which at that time also featured drummer Dave Weckl, bass player John Patitucci and guitarists Scott Henderson and Carlos Rios. Inside Out is an album by the Chick Corea Elektric Band, released in 1990 through the record label GRP. The album peaked at number six on Billboard's Top Contemporary Jazz Albums chart. Beneath the Mask is an album by Chick Corea Elektric Band, released in 1991 through the record label GRP. The album peaked at number two on Billboard's Top Contemporary Jazz Albums chart. Summer Night: Live is a live jazz album by the Chick Corea Akoustic Band trio, featuring Chick Corea, John Patitucci and Dave Weckl. Recorded during a concert in Belgrade in 1987, it was released with Jazz Door, the former recorded and live jazz record label. 1 2 Gioffre, Daniel. Akoustic Band –Chick Corea Akoustic Band at AllMusic. Retrieved 2010-03-24. 1 2 Chick Corea Akoustic Band (Vinyl album cover). Chick Corea Akoustic Band. United Kingdom: GRP. 1994. GRP-9582. ↑ "Akoustic Band – Chick Corea's Akoustic Band | Awards | AllMusic". allmusic.com. Retrieved 27 October 2013. ↑ "32nd Annual GRAMMY Awards (1989)". GRAMMY.com. Retrieved November 12, 2017.